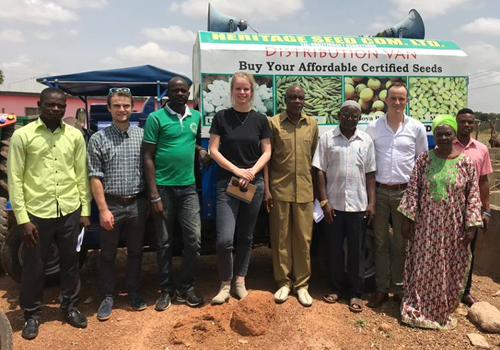 One of the companies selected for the Access to Seeds Index for Western and Central Africa is Heritage Seed, based in the northern Ghanaian city of Tamale. They produce seeds for rice, soy bean and maize but also groundnut, cowpea and even seedyam, crops not often found in the portfolios of seed companies. 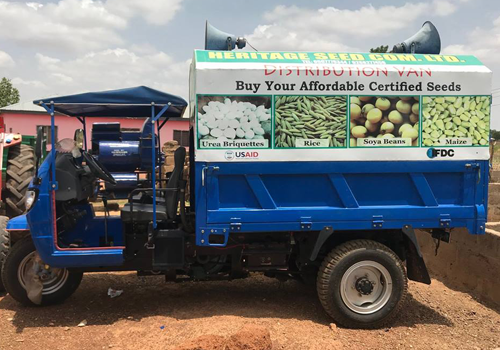 Heritage Seed was founded in 2010 and has already a strong position in Ghana and is currently exploring its export potential. 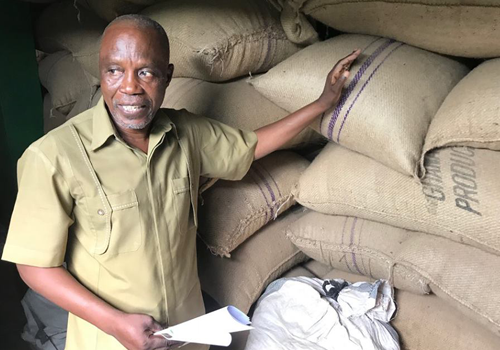 “Partnerships help us to unlock our potential as a real African seed company with strong roots in our region,” says managing director Zakaria Sumani Iddrisu, as he explains how AGRA is building a consortium in which research agencies, seed companies and food producers are working together. “This value chain approach links us to other companies in Ghana and helps us to grow together. Partnerships are also developed in other areas. Adoption training for smallholder farmers is provided with Advance, a USAID Feed the Future Program. Experiments to produce seedyam are supported by the Bill & Melinda Gates Foundation. But also with other companies, such as SeedCo from Zimbabwe, Heritage is exploring cooperation. “We have developed a strong outgrower scheme of nearly 500 outgrowers in the Northern Region of Ghana,” Mr. Zakaria explains, “and have established a client base of over 4000 smallholders in the region. That is why donors and other seed companies like to work with us. In return, we can learn a lot from them and expand our reach and portfolio”. Mr. Zakaria Sumani Iddrisu, managing director of Heritage Seed, shows the stock of groundnut seeds.